Miocene era fossil found on the Shores of the York River, Virginia. Ecphora was a genera of predatory snails that stalked the warm sea that once covered Virginia. Miocene era fossil I found on the Shores of the York River, Virginia. 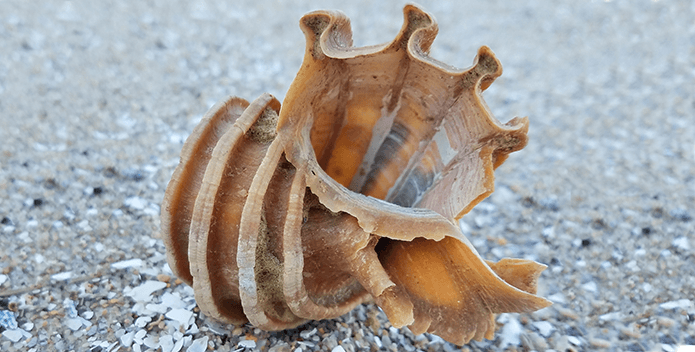 Ecphora was a genera of predatory snails that stalked the warm sea that once covered Virginia. The Chesapeake Bay watershed in Virginia has rich and diverse fossil beds to lure you out of your house and get you roaming the shores of the Potomac, James, York, and many other rivers. It's fun and though I only know my favorite state parks in Virginia for fossil hunting, Maryland also has similar places. You just need to be polite and take only one fossil per visit, as the parks request of visitors. Storms wash out thousands of new fossils all over the state every time it rains heavily, so there is little chance they would all be depleted. Chippokes Plantation State Park is my other favorite place to look along the shores. It sure beats laying on a beach towel sweating in the sun. Kids love finding cool stuff too, and it's educational! Ensure that Bob and future generations continue to enjoy extraordinary sights and places like these along the Chesapeake. 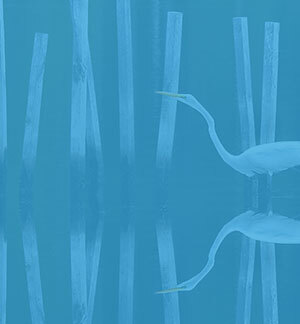 Support the Chesapeake Clean Water Blueprint—the plan to Save the Bay and its waters!